Jung’s work lies in areas that intersect with religious ethics and moral philosophy. He is especially interested in moral epistemology, moral ontology, and action theory where he brings contemporary moral philosophy into conversation with religious ethics. He is currently working on various philosophical and theological problems (e.g., weakness of the will, self-deception, volitional necessity, and free will) of will. 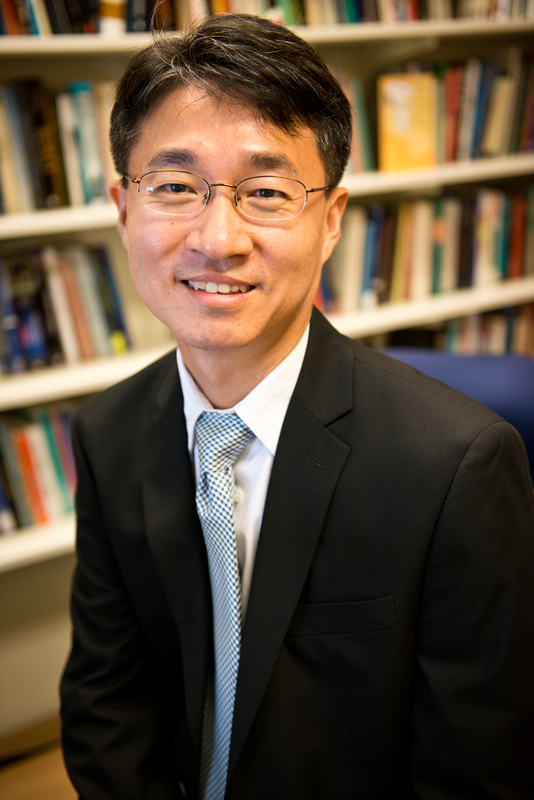 Jung is the author of Christian Ethics and Commonsense Morality: An Intuitionist Account (Routledge, 2014) and Ethical Theory and Responsibility Ethics (Peter Lang, 2011), and is the editor of Religious Ethics and Constructivism: A Metaethical Inquiry (Routledge, 2018) and the coeditor of Doing Justice to Mercy: Religion, Law, and Criminal Justice (University of Virginia Press, 2007) and Humanity Before God: Contemporary Faces of Jewish, Christian, and Islamic Ethics (Fortress Press, 2006). His articles have also appeared in major academic journals. Christian Ethics and Commonsense Morality. New York: Routledge, 2014. Ethical Theory and Responsibility Ethics: A Metaethical Study of H. Richard Niebuhr and Emmanuel Levinas. Frankfurt am Main: Peter Lang, 2011. (Editor) Religious Ethics and Constructivism. New York: Routledge, 2018. (Co-editor) Doing Justice to Mercy: Interdisciplinary Essays on Law, Religion, and Criminal Justice. Charlottesville: University of Virginia Press, 2007. (Co-editor) Humanity Before God: Contemporary Faces of Jewish, Christian, and Islamic Ethics. Minneapolis: Fortress Press, 2006. (Co-translator) John Witte, Jr. From Sacrament to Contract: Marriage, Religion, and Law in the Western Tradition. Seoul: Christian Literature Society of Korea, 2006. (Translator) Gene Outka, Agape: An Ethical Analysis. Seoul: Christian Literature Society of Korea, 1999. “Normativity in Comparative Religious Ethics,” Journal of Religious Ethics. Vol. 45, No. 4, 2017. Springhart and Guenter Thomas (Ed.) Leipzig: Evangelische Verlagsanstalt, 2017. “Models of Moral Realism in Christian Ethics,” Harvard Theological Review. Vol. 108, No. 4 (2015). Review of Lying and Christian Ethics by Christopher O. Tollefsen. New York: Cambridge University Press. Notre Dame Philosophical Review (January 2015). “Radical Evil and Self-Deception,” Societas Ethica, August 2017. “Normativity in Comparative Religious Ethics,” American Academy of Religion, 2015. “The Orpheus Effect: An Account of Free Will,” Davidson College, April 16, 2015. 2014-2016 (Project Leader), “Science at the Forefront of Theological Education,” Science for Seminaries Grant, administered by the American Association for the Advancement of Science (AAAS) and funded by Templeton Foundation. 2008-2009, Lilly Theological Scholars Grant, Association of Theological Schools (ATS). 2004-2005, Spruill Fellowship, Emory University School of Law. The School of Divinity Office of Communications is responsible for communicating information regarding faculty research, programs, and other news to appropriate media sources. Faculty are available to provide comment for a story or be interviewed (recorded and/or live). To request, contact C. Mark Batten, Assistant Dean of Admissions and Strategic Communications.